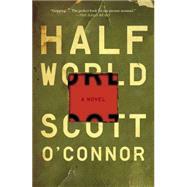 A “beautiful literary thriller” (Los Angeles Review of Books) inspired by the shocking history of a secret CIA mind-control program, Half World is “the perfect book for our present moment” (The Daily Beast). In the 1950s the CIA began a decades-long clandestine operation, known as Project MKULTRA, in which unwitting American citizens were subjected to insidious drug and mind-control experiments. Haunted by these real-life events, acclaimed novelist Scott O’Connor has crafted a riveting novel that vividly imagines the devastating emotional legacy of such a program through the eyes of one of its more unexpected victims. CIA analyst Henry March, an unassuming “company man” forced to spearhead MKULTRA’s San Francisco branch, finds himself bridging an untenable divide between his devotion to his wife and children and the brutality of his daily task. Torn between duty and conscience, Henry March chooses neither, instead disappearing without a trace. He takes with him the evidence of his sins and thus becomes the deepest MKULTRA mystery of all. Twenty years later, as the country struggles under the weight of the Vietnam War, another troubled young agent will risk everything to find Henry, protect his family, and piece together the staggering aftermath of the crimes before it’s too late. Hailed as “one to watch” (Los Angeles Times) for his ability “to make something beautiful of unspeakable matters” (The New York Times), O’Connor has crafted a stunning, sensitive, and psychologically astute look at the depths to which a government will sink in service of its own power and the strength required of the human spirit to set itself free. Gorgeous and unflinching, Half World is both a page-turning drama and a transcendent celebration of our enduring capacity for hope.